This is my fourth and final report on my February/March trip to Mexico and the second report on the Yucatan part of that tour. After some early morning birding at Rio Largatos on the northern coast of the Yucatan Peninsula we drove south to famous Mayan ruins at Chichen Itza. As it is within easy reach of Cancun and the coastal resorts this is by far the most popular of the Mayan sites. This partially restored pyramid dominates the site. Each side has 91 steps, so with one for the top there is 365 in all, one for each day of the year. it is astronomically aligned and at certain times of the year the rising sun on the edge of the steps casts a serpent like shadow which appears to move as the sun rises. The famous ball court. 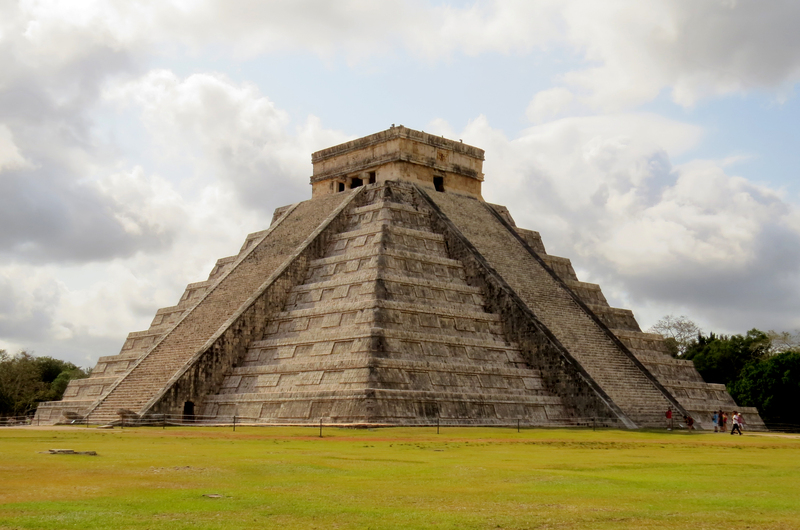 The Mayan civilisation had already faded when the Spanish conquistadors arrived and thus there are no written records. 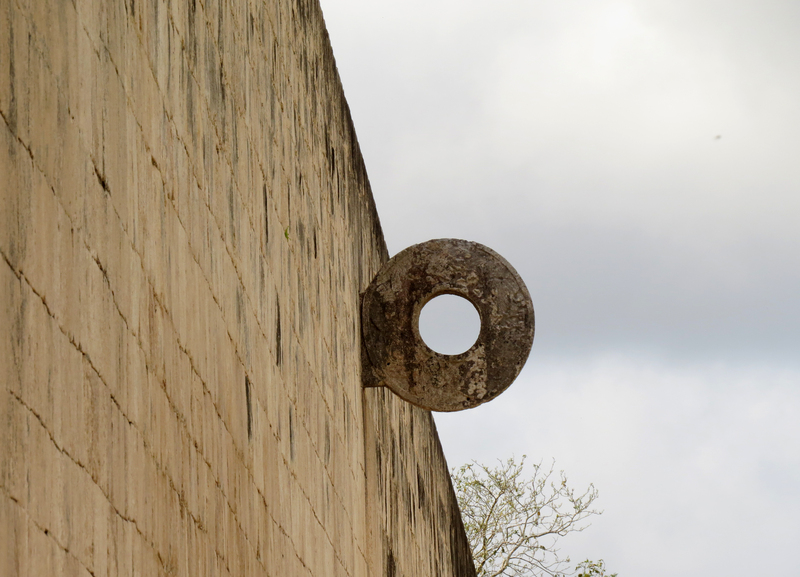 This ball court was certainly used for competitive games, the object being to throw a ball through the small circular ring on the wall, although there is no proof of the legend that the losing team (or at least their captain) was offered up as a human sacrifice. Iguanas were commonly seen around the ruins. The visit to Chichen Itza was most enjoyable but as the morning drew on crowds of grockles from Cancun arrived and it became quite crowded. One aspect I didn’t enjoy was that the ruins were dotted with stands selling souvenirs, something that should be restricted to an area outside the ancient monuments. We had wonderful views of Turquoise-browed Motmots in the surrounding forest. From Chichen Itza we traveled south to Felipe Carrillo Puerto where we spent a day and a half birding the locals woodlands. 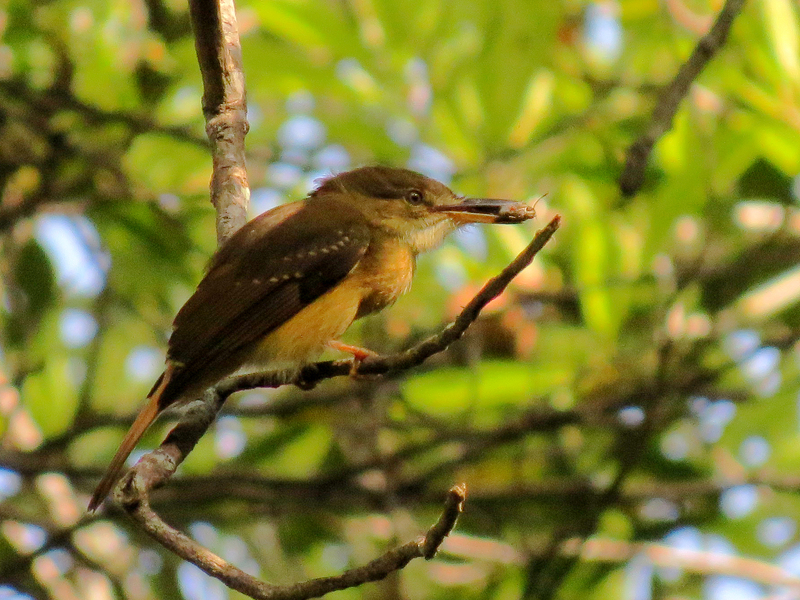 Birds were abundant and included this endemic Yucatan Flycather, a member of the genus Myiarchus which contains 22 very similar looking species. 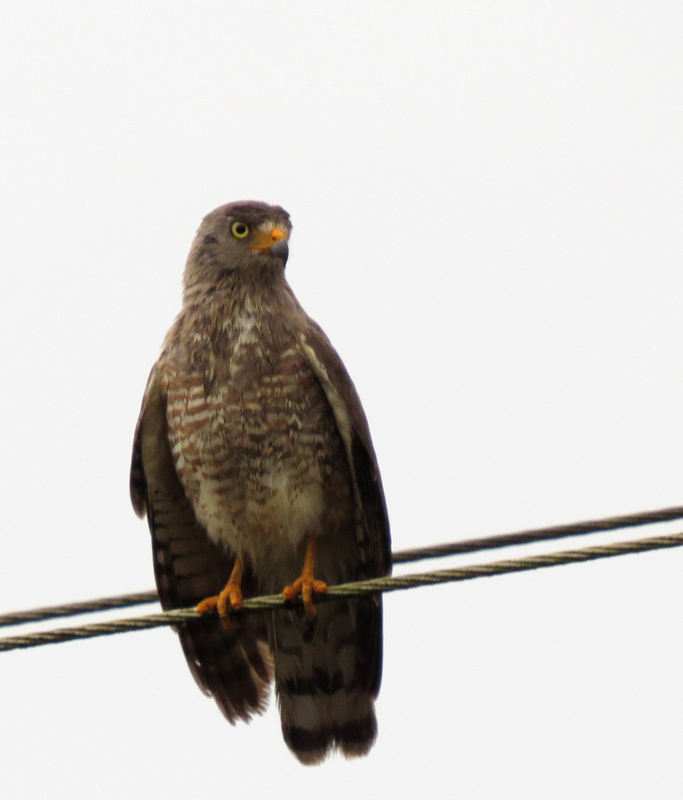 This Grey Hawk were observed on the roadside …. ..,. whilst this Roadside Hawk wasn’t! 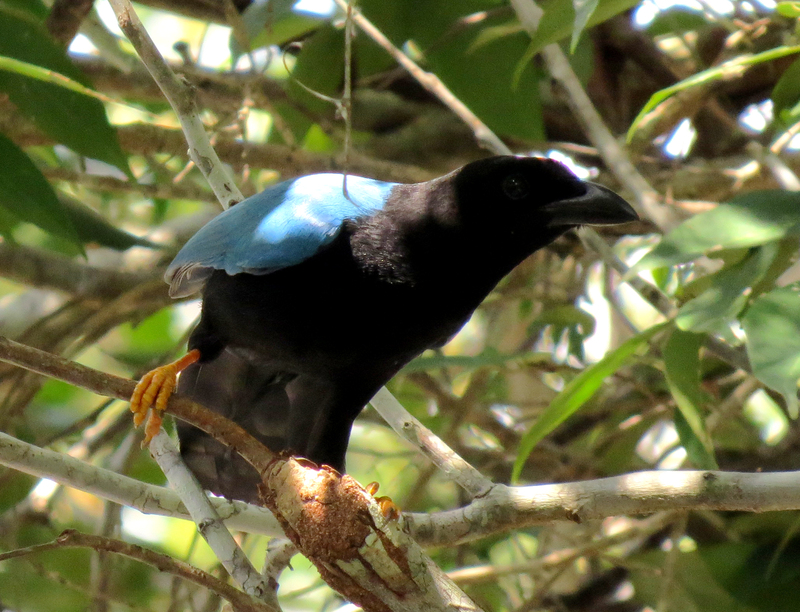 Other goodies included the endemic Yucatan Jay …. 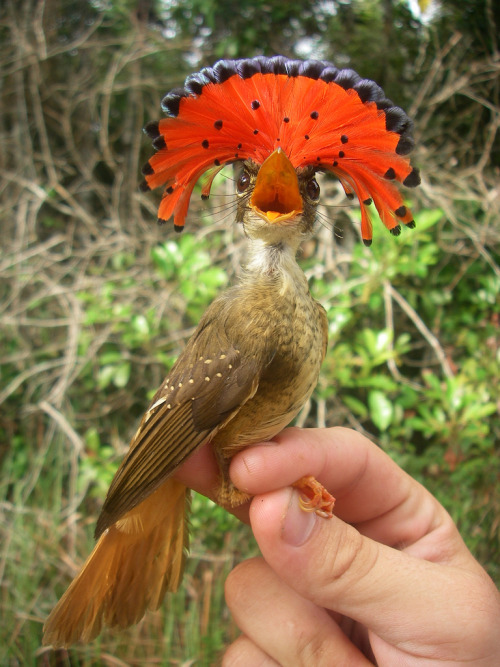 A particular treat was multiple sightings here and at Calakmul of Northern Royal Flycatcher. 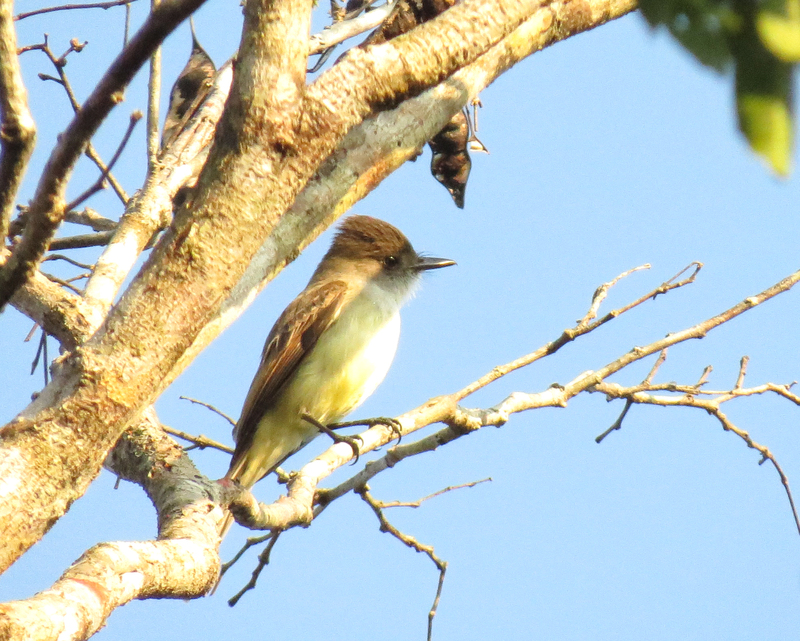 One of a group of four similar species, none of which are easy to see, we had repeated good views of birds building nests over the road. When in display/alarmed the birds raise their crests, which uniquely are held across rather than along the head. I have never been lucky enough to see this amazing sight but apparently it occurs regularly with birds in the hand. 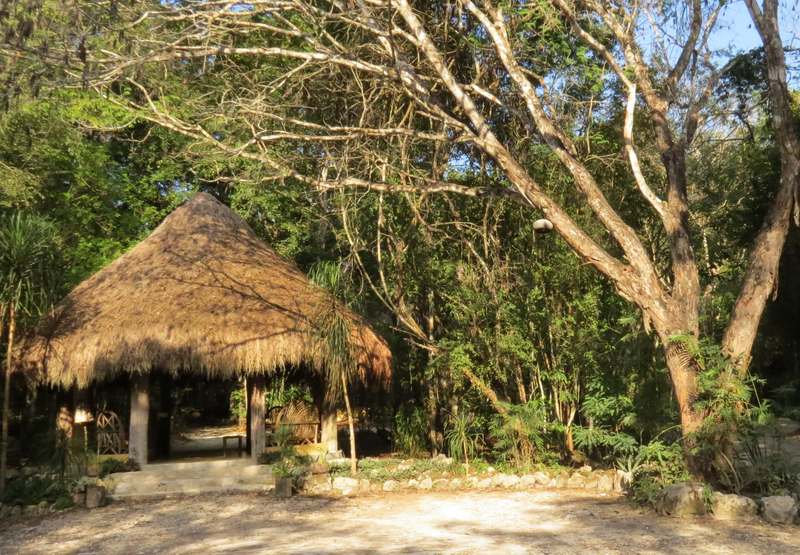 We continued on to Calakmul where we stayed at a pleasant lodge in midst of the woodland. It is something like a 40km drive from the lodge to the Mayan ruins at Calakmul. 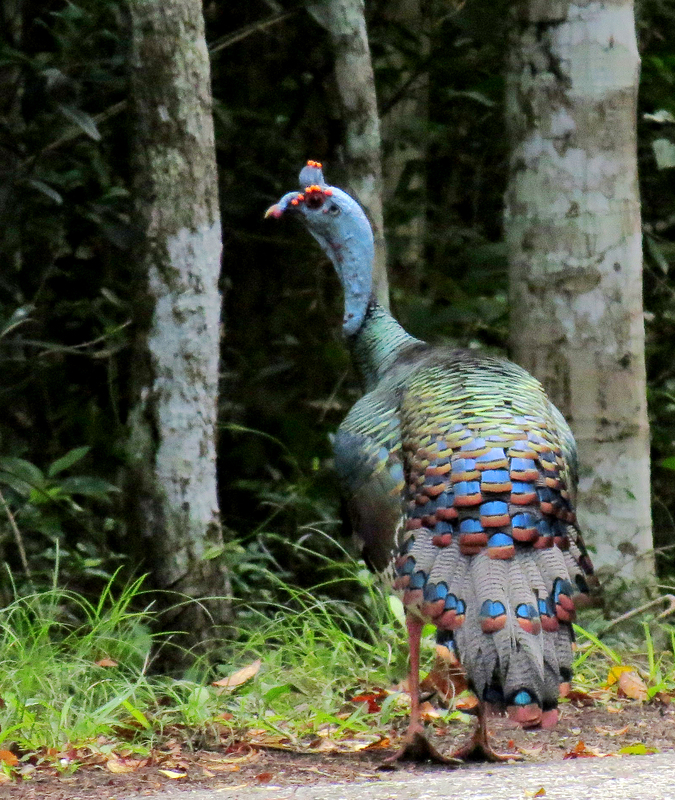 We were given special permission to drive the road at dawn which was so worthwhile, as over the two days we were there we saw a total of 38 Ocellated Turkeys on the road in the early morning. Unlike its widespread and domesticated northern relative, this species is restricted to the lowlands of the Yucatan and neighboring Guatemala. We eventually arrived at the Calakmul ruins only to hear from a Dutch couple who were driving behind us that we had just missed the Puma that crossed the road in front of them! 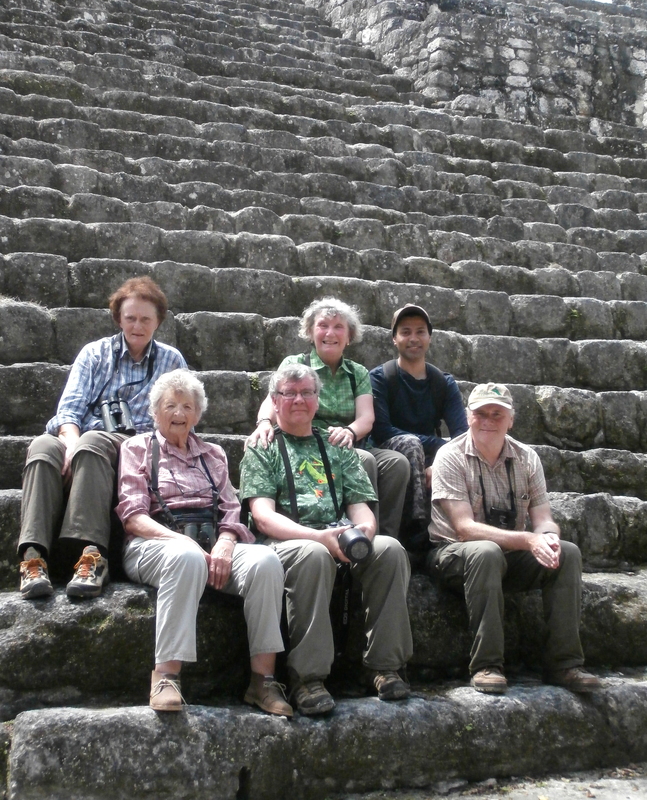 Most of the group at Calakmul. Leader Mark van Beirs is taking the photo and participant Leslie Coley opted to stay behind. L-R Riita Viinanan, Audry Baker, Martin Hill, Anne Hill, Andre D’Penha and me. The spectacular view from the top of the highest pyramid. 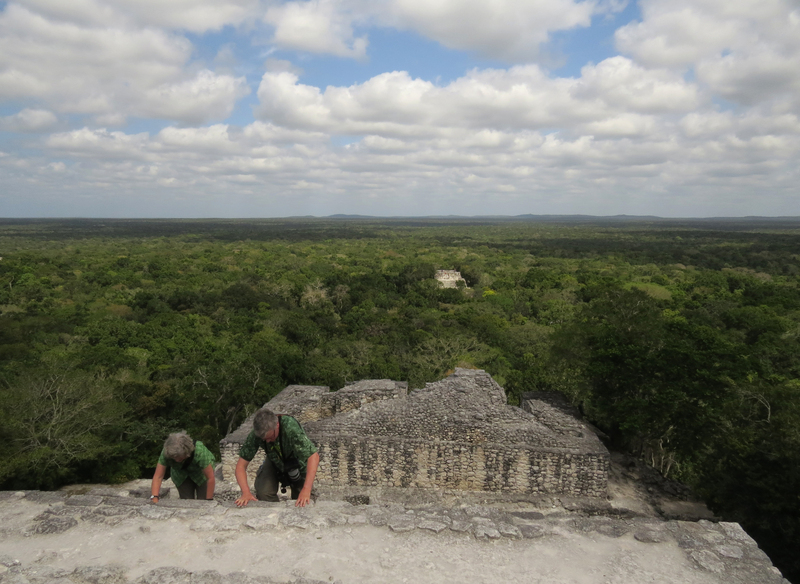 Situated in the 7200 square km Calakmul Biosphere Reserve there is a 360 degree vista of forest stretching to the horizon. The view to an adjacent pyramid. We saw and heard Howler Monkeys near the ruins and at our lodge. They produce the loudest noise of any land animal and would be in severe breach of Health and Safety if the regulations were applicable to monkeys! 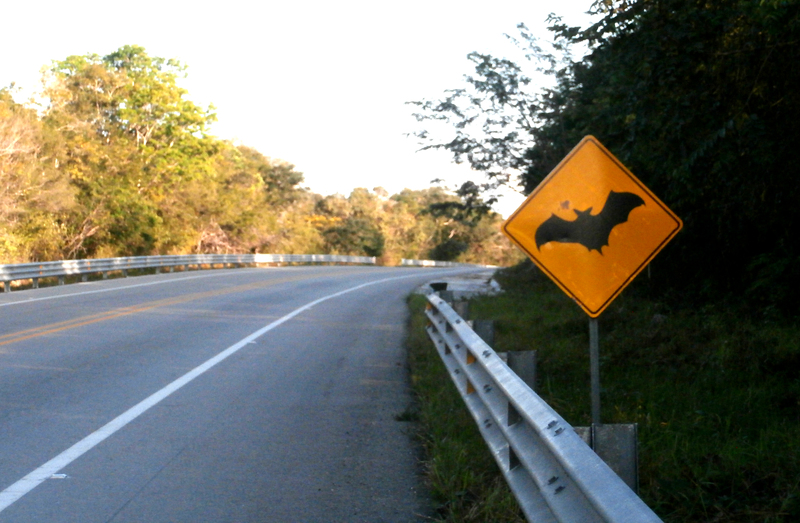 It’s not often you see a ‘danger bats ahead’ sign along the highway …. 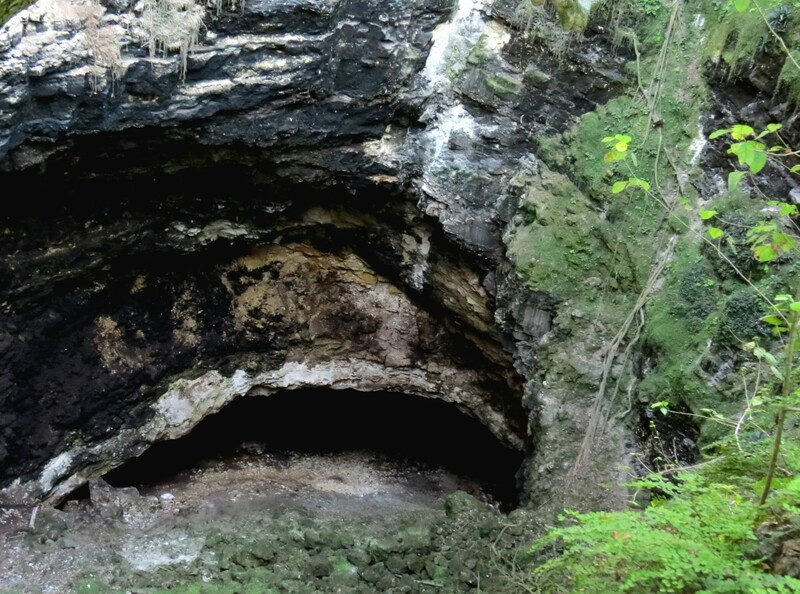 … but the hundreds of thousands, if not millions of bats that emerge at dusk from this sinkhole, can at times sweep down over the road and present a traffic hazard. You can stand on the edge of the sinkhole and have thousands of bats pass with inches of your face yet not one will collide with you or with each other, so accurate is their echo-location. Broad-eared Bats. We watched this amazing emergence for over 45 minutes until it was too dark to see. 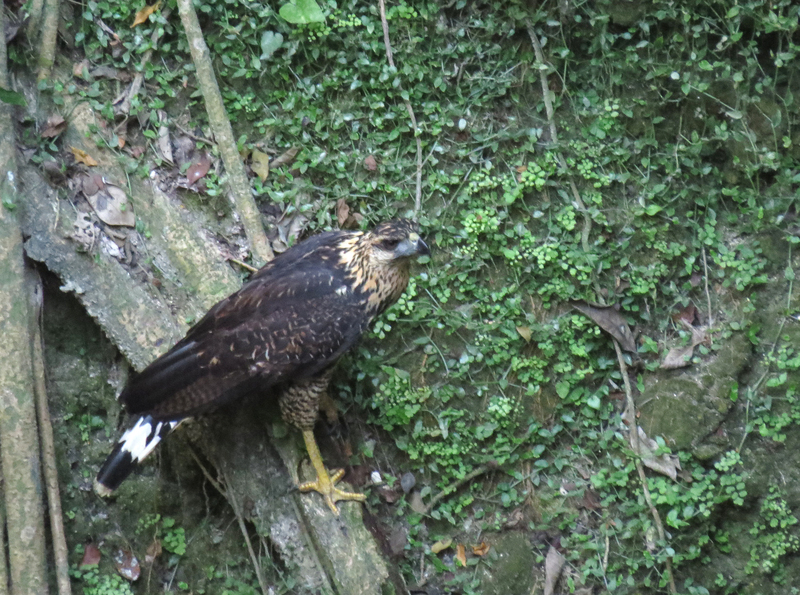 A juvenile Great Black Hawk clung to the sides of the sinkhole but in spite of being spoiled for choice it seemed to be having a hard actually catching a bat. 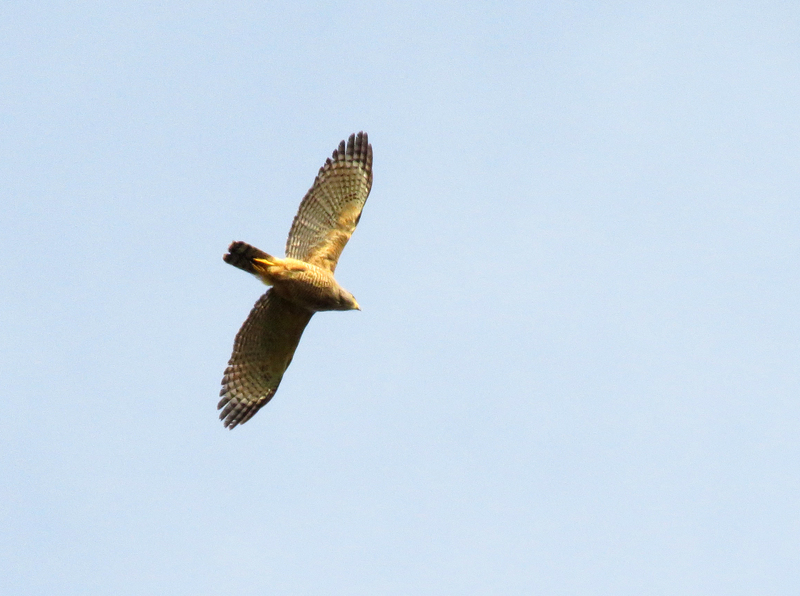 Over our two visits we saw Zone-tailed, Cooper’s, Roadside, Bicoloured, Short-tailed and Great Black-Hawk, Hook-billed Kite and Bat Falcon turn up for their bat supper. From here it was just a matter of returning to Cancun the next day in time for our overnight flight. The two trips, El Triunfo and The Yucatan were excellent. I have already birded Western Mexico, I need to complete the set of Birdquest Mexico trips and do Southern Mexico soon. 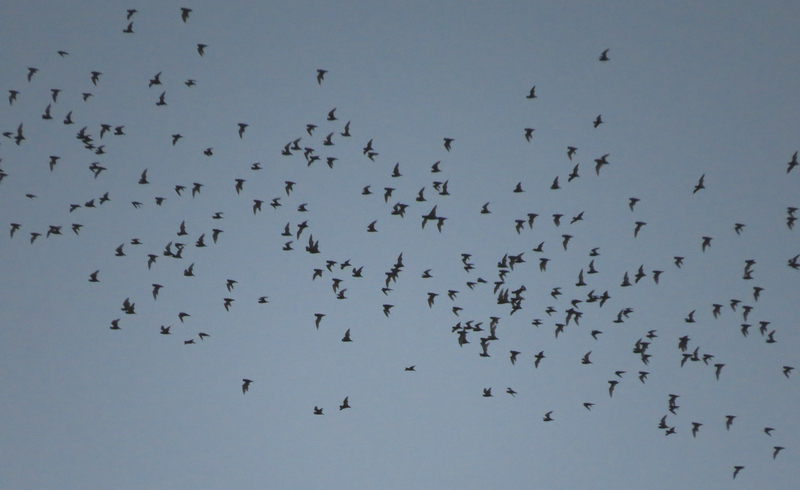 « April 29th – May 7th 2014 – this week’s birding and ringing.